It’s a hotel with history, it’s a hotel with style, but most of all, it’s a hotel which feels like one of the swankiest establishments you can check yourself in for a night. The tone is set the second you walk into the lobby: high plastered ceilings, a glittering crystal chandelier, and a large carpeted staircase give off authentic Beaux Arts grandeur like few hotels in New York can.Located on the iconic Fifth Avenue, all of the Big Apple's landmarks and top boutiques are within arm's length. Anything further afield is easily accessible thanks to the hotel’s complimentary chauffeur driven MINI Cooper S Clubmans. With gorgeous views over Central Park and the opportunity to meet the city's movers and shakers in a trendy and elegant setting, the Peninsula New York is the American getaway you've always dreamed of. Do not miss a drink at the Roof Top Bar with stunning skyline views. Try a treatment at the award winning Spa and swimming pool located on the top 3 floors of the hotel and sunbath on the terrace overlooking 5th avenue. Be among the first to try the new bar and restaurant of the hotel featuring contemporary American cuisine. We have been staying at the Peninsula for many years and have always been treated in a first class manner. I highly recommend this hotel. 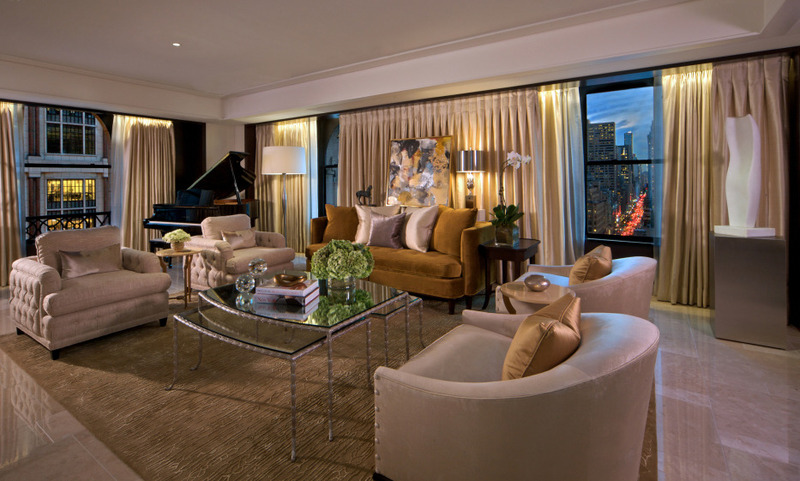 Its location is perfect for discovering New York, but once inside it’s calm and luxurious. The friendliness and availability of the staff is a sign of the excellent standards of the hotel. I’ll return here in a heartbeat.